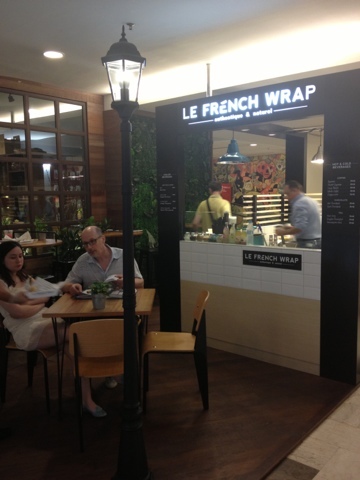 People who frequent Publika, and especially those who do their groceries at BIG Supermarket will have noticed the little black-and-white place that popped up (near the shop selling greens and flowers). 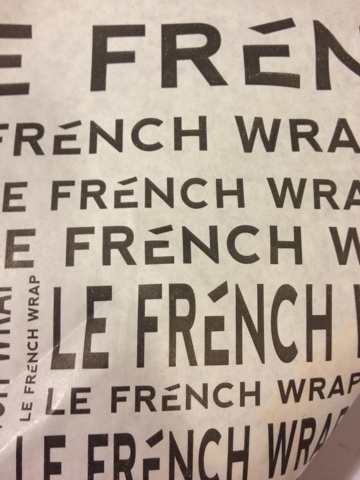 The little place is called Le French Wrap -- basically a place where you can get all sorts of crepes. Having a French hubby meant I had authentic crepes at home whenever I want. 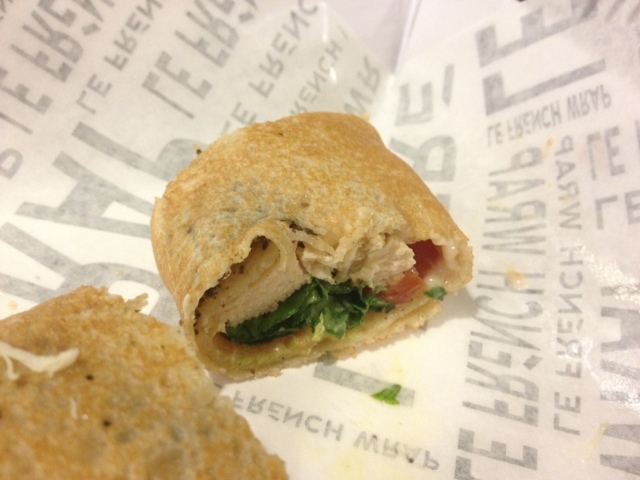 Though with this new place, I admit, we were still curious if it was authentic and good, so we gave it a try. The French owner was there when we tried it on a weekend. He was very friendly and definitely knows customer service. 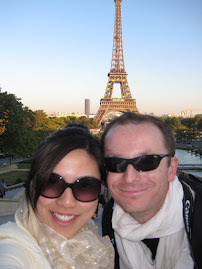 We tried out the Romance en Provence (hubby comes from Provence!) and this was one of the priciest on the menu, due to the truffle content. We were not disappointed with the food... it was tasty and I think the size will satisfy the typical Malaysian (because it is not too small). 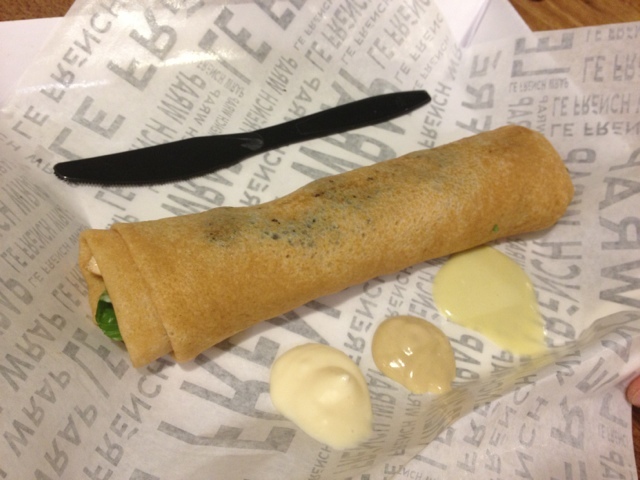 The crepe came with 3 different sauces which the owner kindly provided for me to taste. Loved all three ... one of it is wasabi mayo, the other is aioli and the last one mustard-y kind of taste. 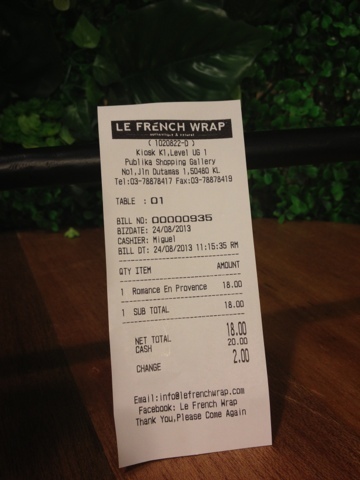 For those who want a taste of authentic French crepe at a reasonable price, then Le French Wrap is a good place for you. Very casual seating and you can even eat it while walking if you are really in a rush. 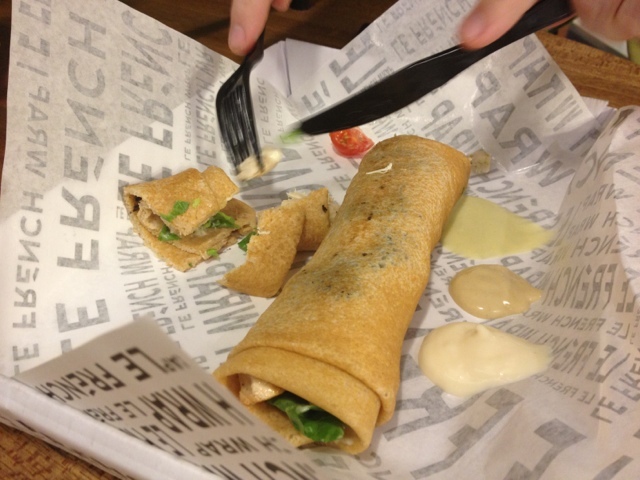 Crepes are very dynamic and easy to handle so you can eat it like a burrito if you are on the go. 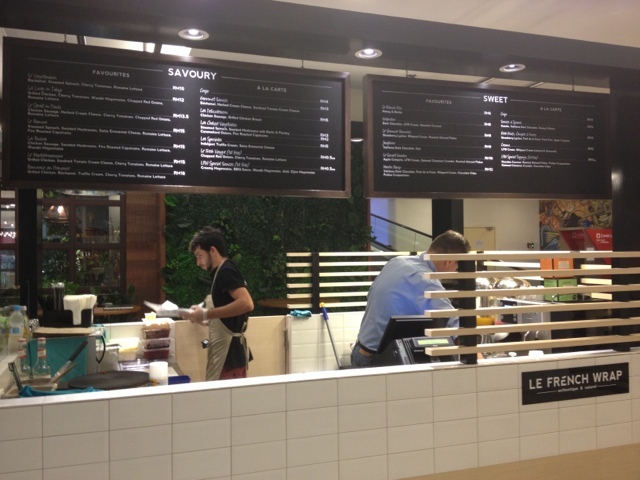 Will probably go back to try their Sweet Crepes one of these days. Worth visiting when in Publika!